We supply professional, licenced traffic controllers for pedestrian and vehicle management, keeping safety top of mind. 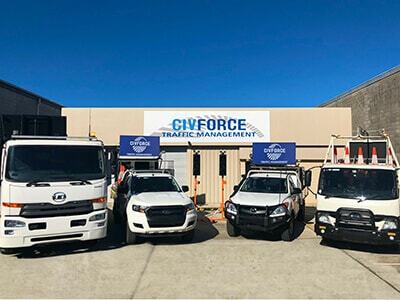 Civforce Traffic Management takes pride in presenting our fleet of fully equipped vehicles and traffic control equipment for hire. We're always looking for new talent and we actively recruit professional, self-motivated traffic controllers to work in our organisation. We provide in-house training to all current and future staff. We are committed to providing safe, cost-efficient traffic management solutions. 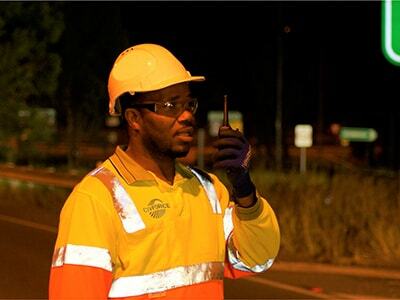 OR TO APPLY FOR A TRAFFIC CONTROLLER JOB, PLEASE PHONE US ON 07 3821 4522. “LEADING THE WAY IN HIGH SPEED INNOVATIONS"
At Civforce we are committed to quality traffic and road safety management. Our company began in 2010 and have quickly risen to the top in providing traffic management services throughout Queensland and expanding Australia-wide. We work with Main Road authorities, councils and private entities to ensure the safe and controlled movement of motorists and pedestrians on their jobs. We pride ourselves in offering top notch service to our clients. 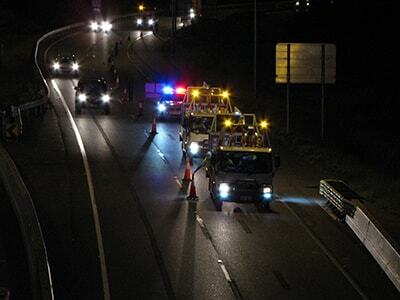 From your project’s start to finish we provide a complete traffic solution: early contract involvement, plans, permits and government approvals, traffic controllers and equipment hire. We are here for you 24/7, 365 days a year. For all things traffic control and traffic management services, contact us today. 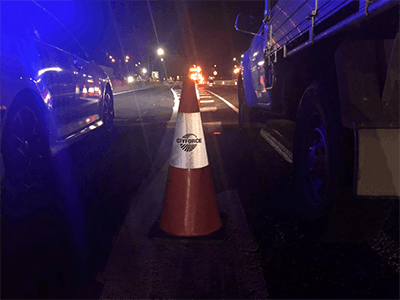 As leaders in the traffic management industry, Civforce continually innovates its systems and processes to ensure the best, most cost-effective outcome for clients. Safety is our priority. To provide quality traffic management and road safety, we employ highly trained and dedicated supervisory staff to oversee our field activities. We commit to giving clients our full attention and best service. We are here for you 24 hours a day, 365 days a year. We are registered and accredited for the most rigorous Australia/New Zealand and International standards. We are RMS Certified in New South Wales and TMR Registered in Queensland. Civforce Traffic Management currently work for over 100 different clients. 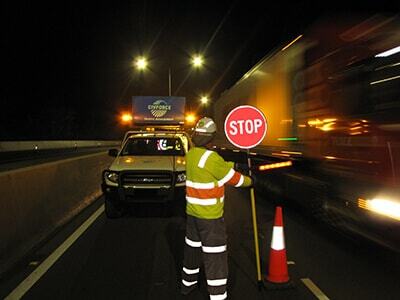 We specialize in all aspects of traffic management, which is why we are awarded with some of Queensland’s top projects. Since 2010, we’ve been providing resources for major construction and event projects.